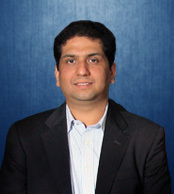 Prasad is responsible for setting the overall company strategy and direction for Aissel. He is a hands-on leader who firmly believes that businesses grow only by delivering true value to customers and by creating unique user experiences. His passion for creating awesome products is demonstrated in his close involvement with the design and user experience as well as product marketing teams. Prior to founding Aissel, he worked for over 10 years with companies like EmPower Research, Aditya Birla Group and ITC in various capacities. 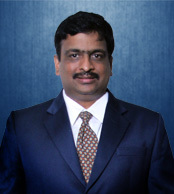 Prasad holds a Bachelor of Science degree in Physics and Electronics from Karnatak University and MBA from University of Wales. Mahesh brings over 16 years of experience in designing and developing technology solutions for Global Fortune 500 clients. He is responsible for the seamless operations of the company. Prior to this, he was the Chief Architect at Cybage Software wherein he worked with several global technology companies, and was involved in design of large enterprise applications. 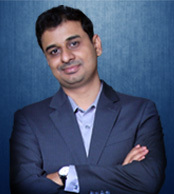 Mahesh holds a Bachelor of Engineering degree from Kuvempu University and a Post Graduate Diploma in Advanced Computing from ACTS C-DAC at Pune University. With over 14 years of experience in IT Management, Suraj is responsible for the technology direction, product development, testing and support of our enterprise software products. Before joining Aissel, he worked with Hewlett-Packard for over 10 years. Based in Atlanta, he was responsible for delivery of Supply Chain solutions for a leading beverage company. 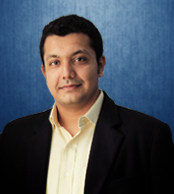 He has experiece working with clients in manufacturing, high-tech and consumer industries. Suraj is an American Production & Inventory Control Society (APICS) certified Production and Inventory Management professional and holds a Bachelor of Science degree in IT. A decisive leader, with proven success in establishing strong presence in new markets, identifying growth opportunities, and initiating strong business alliances, Amit drives Sales & Business Development. His strong experience in managing enterprise clients makes him connect with customers really well providing them outstanding customer experience. His account management skills have helped establish solid partnerships with industry leading life science companies. Prior to Aissel, he worked with EmPower Research, a business research company. Amit holds a Bachelors degree in Commerce and MBA from Karnatak University.